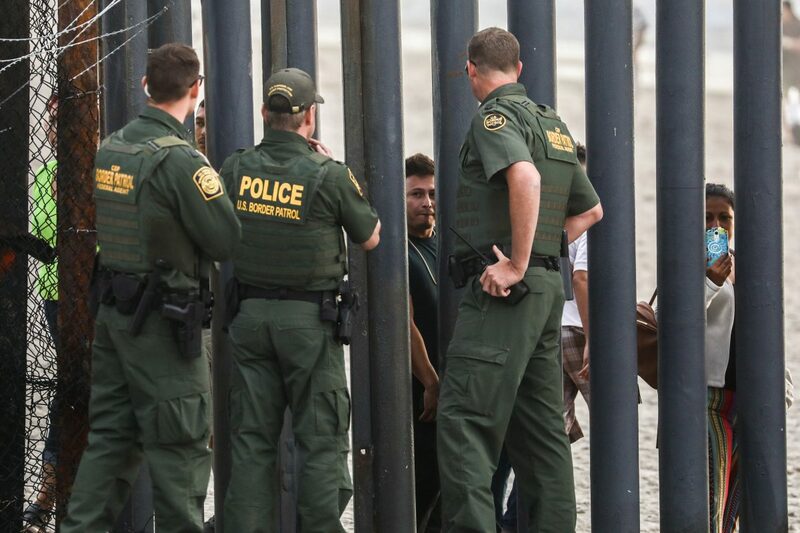 IMPERIAL BEACH, Calif.—Border Patrol agents, with the help of the U.S. military, are ready for all scenarios as hundreds of migrants start to gather on the south side of the U.S.–Mexico border near San Ysidro, California. 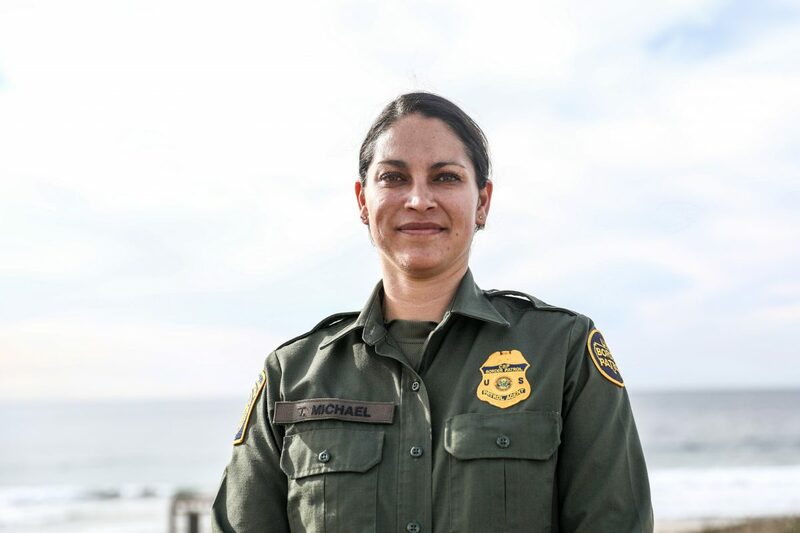 Tekae Michael, Border Patrol public affairs officer for the San Diego Sector said activity has been “pretty stagnant” on the United States side of the border so far. But, on the Mexico side, more individuals are gathering, “which isn’t normal,” she said on Nov. 15. Several hundred members of the lead migrant caravan have already reached Tijuana, Mexico, while the main group of 5,000 continued to advance north through Mexico. Tekae said Border Patrol tactical units are already deployed, and along with the U.S. military, Border Patrol agents are getting the support they need. The Marine Corps of Engineers was installing concertina wire along the fence at Imperial Beach on Nov. 15, while small crowds gathered on the Mexican side to watch. Two days earlier, several individuals scaled the fence into the United States. Ralph DeSio, spokesman for U.S. Customs and Border Protection, said the individuals ran back to Mexico “without needing any intervention” from Border Patrol agents. Tekae said it’s possible a large group of migrants could rush the border and overwhelm agents in the coming days, but the agency is prepared. “We do have who we need in place and just like always, we’re maintaining our border security. Anybody that is trying to unlawfully enter into the United States in between a port of entry—it’s illegal—so this is what we’re here for, this is what we’re doing. We’re protecting our border,” she said. Tekae said her agency is also working closely with their Mexican counterparts. Kimberly Hayak contributed to this report.